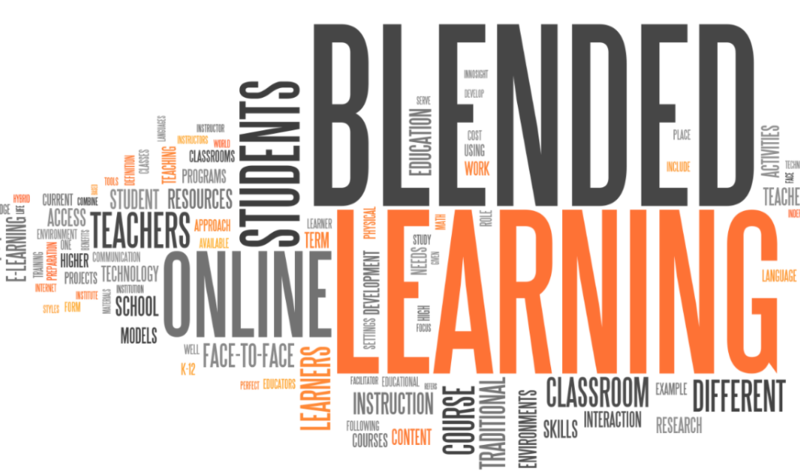 See the CIA of Blended Learning infographic below. Digital curriculum typically comes in the form of software or open education resources (OER). It is a rare situation when a teacher can actually create their own digital curriculum that has all the components of an effective lesson from an opening hook, review of previous knowledge, delivery of new content, real-world application, a summative close and tasks for students to demonstrate understanding (e.g. assignments and assessments). Typically a teacher gathers pre-made resources from others such as publishers to ‘deliver’ lesson, rarely are they actually ‘developing’ lessons from scratch. Teacher are good at curating OER materials, but this takes time. Teachers that have ‘flipped’ their classroom by creating video lessons will tell you that digital content development is time consuming, and most schools only provide a very small preparation period for teacher planning (not developing). Thus the need for high quality software or applications that can aid in the delivery of digital content is needed. One thing a digital curriculum can not do is establish a relationship with students. That’s why teachers will always remain the strength of the classroom, with a heart that touches and cares for each and every student. With digital curriculum taking center stage in the learning environment, the teacher role changes to one relying on relationships, human analysis, and intervention. Students respond to the human interaction, the caring heart, the smiling teacher in the classroom. Thus the teaching staff, using their expertise in educational theory to analyze the digital data and identify strengths and weaknesses with the digital curriculum, can create a learning environment that complements and extends student learning to higher level analysis and synthesis. Guided instruction may include one-on-one or small group tutoring intervention, hands-on activities/investigations, or Socratic seminars. The human touch is important in every classroom, technology can never replace human relationships between students and their teachers. Authentic assessment is a must in a classroom filled with digital tools and curriculum, access to the world-wide web, and teachers who push students to expand their learning. Digital curriculum relies heavily on recall and understand. Guided instruction asks student to stretch into analysis and synthesis. Authentic assessments must push students to deeper depths of knowledge. They should challenge students within the Four Cs: 1) Collaborate, 2) Communicate, 3) Critical Thinking and 4) Creativity. With technology at student’s fingertips collaboration and communication is easy, and creation should entail critical thinking in a fun and active way. All three are needed to establish a quality blended learning environment.